Physicians that understand the latest omega 3 science and inflammatory disease research recognize the value of high potency triglyceride form double enteric coated ALP High 3. It delivers 10 times the anti-inflammatory omega 3 fatty acid absorption and punch of typical fish oil, which makes all the difference for patients – and the tests you use to track inflammatory diseases. 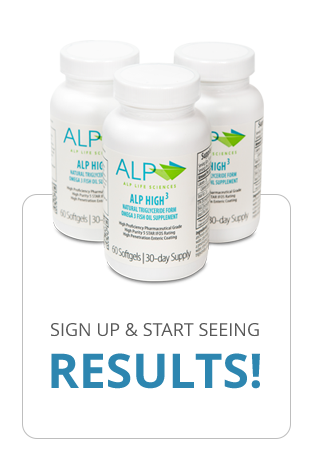 Participating physicians receive regular delivery of 3-Day sample bottles of ALP High 3 and send their patients to local independent pharmacies to purchase the product. To register your practice just provide your practice information and one to three local independent pharmacies that you would like to stock ALP High 3, and Team ALP will do the rest. If you have any questions please contact Matt Barker: 828-357-4304.